Charles Dickens; Elizabeth M. Brennan; "Phiz"
...holding her solitary way among a crowd of wild, grotesque companions; the only pure, fresh, youthful object in the throng.' 'Little Nell' cares for her grandfather in the gloomy surroundings of his curiosity shop. Reduced to poverty the pair flee London, pursued by the grotesque and vindictive Quilp. In a bizarre and shifting kaleidoscope of events and characters the story reaches its tragic climax, an ending that famously devastated the novel's earliest readers. 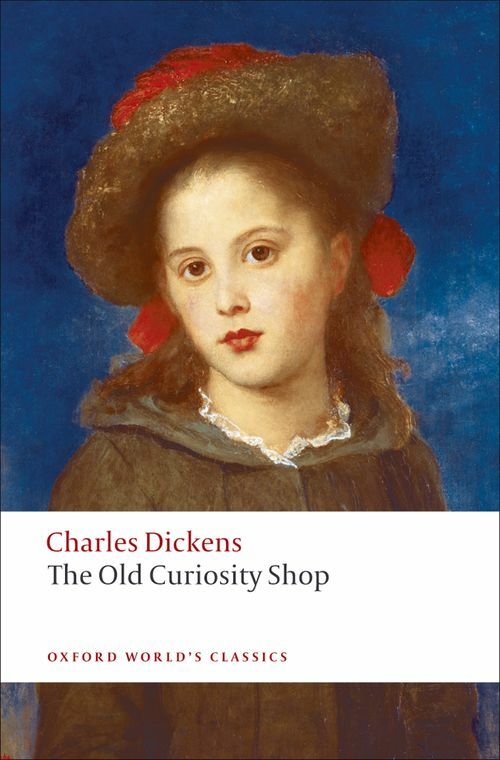 Dickens blends naturalistic and allegorical styles to encompass both the actual blight of Victorian industrialization and textual echoes of Bunyan, the Romantic poets, Shakespeare, pantomine and Jacobean tragedy. Contrasting youth and old age, beauty and deformity, innocence and cynicism, The Old Curiosity Shop is a compelling mixture of humour and brooding meance. This edition uses the Clarendon text, the definitive edition of the novels of Charles Dickens, and includes the original illustrations. *ABOUT THE SERIES: For over 100 years Oxford World's Classics has made available the widest range of literature from around the globe. Each affordable volume reflects Oxford's commitment to scholarship, providing the most accurate text plus a wealth of other valuable features, including expert introductions by leading authorities, helpful notes to clarify the text, up-to-date bibliographies for further study, and much more.